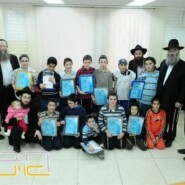 several years ago, my son spent a couple of months learning in kfar chabad. he couldn’t stop talking about the teachers who worked in Ohr Simcha. he said each one was a gem, a true example of what a teacher should be…..and the wives and families were integral in creating this unique set-up. the teachers live within the complex, they don’t treat it as just another “day job”, but as a total living commitment.